Somehow running is one of those sports that lots of people do but most of them do not really seem to love. I put myself into the love-hate category. I have a standard running track where I run regularly with a running buggy, my son strapped into. And on days like today it somehow feels so light, free and smooth, perfect weather and I even run faster than usual. Just great and I LOVE to run! But I remember days when I run the same stretch and it just never – ever – seems – to – end. As if somebody secretly stretches it while I am out there. On those days I just drag myself along and sometimes even hate it. Yet, I am still out there more or less regularly. Because no matter what – Every run is a good run, even the bad one! You are out there and that is all that counts. When you start running try to run either a fixed distance or a set time, eg 10 min. And start slowly, try to increase regularly. It is ok to walk if you can’t run anymore, just try not to stop. Run with music for distraction, or use this time to really focus on sounds and happenings around you. Focus on your breathing. Your body can take more, the legs can carry you further – it is usually the mind that we need to overcome! And the mind can be pretty loud when you are out there! It is a great time to let your thoughts and your mind run freely, great ideas often come while you are running around! It relaxed, inspires and calms down. You do not need to focus on anything particular but to move your feet forward. If you are stressed, edgy or overwhelmed it helps to release the tension. But only if you do not force yourself to set up a new record and you are just out there to let it go (or run). We spend too much time inside, enjoy the outside and your surroundings. Running with a running buddy often leads to most honest talks and a lot of fun and laughter and makes time fly by (well…). I definitely need the “me time” during my runs, but now and then some company is welcomed and great! If you have the possibility change your routes. I have my standard with the buggy or when one of the older kids joins on their bicycles (great running buddies by the way – especially when they ask you if you could move faster…) and a “just me” trail through the forest and small hills. It helps to not get bored and to fool your mind of not getting tired at the same spot over and over again! 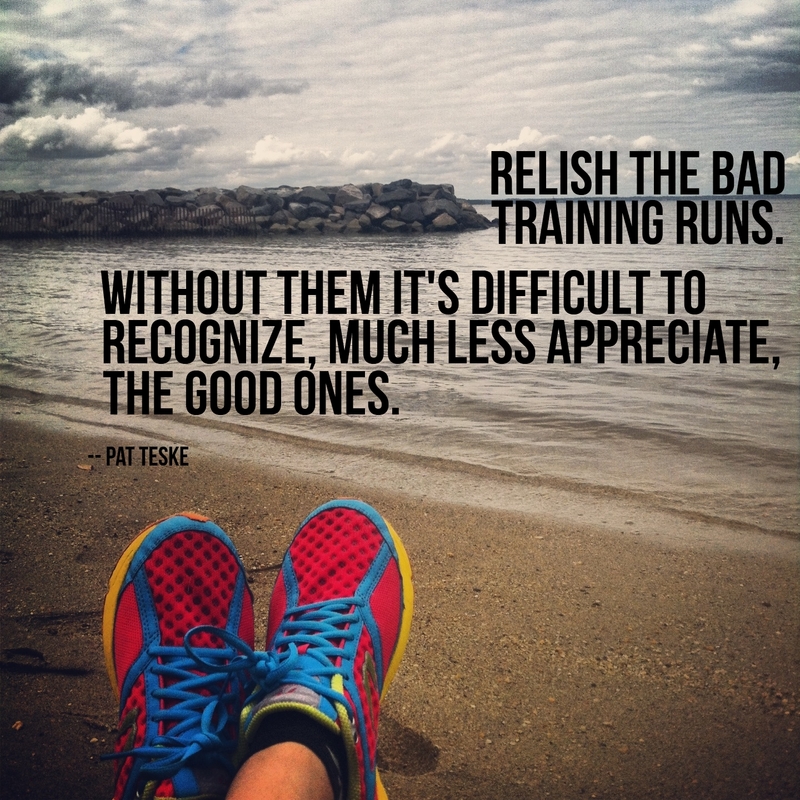 And one of the biggest pluses for me – it is easy – you only need good running shoes, no membership, no fixed timings. You can just tie on your shoes and head out whenever you feel for it! Go for it! Besides all this there are of course as well medical reasons why running is good but I won’t go into this. I am not an expert but rather want to inspire you to just go out there to have Fun on your Run! Try to not take it too serious. Enjoy this time! And if running is really not for you or you can’t run – why not head out there for a quick walk to achieve the same results for yourself?